We looked at the top 1 Electric Chainsaws and dug through the reviews from 12 of the most popular review sites including BestReviews, Top Ten Reviews, Best of Machinery, The Z9, Tool Nerds, Top Ten Review Pro, Sawed Fish, Pro Garden Tips, The Pro Cutter, Pick Best Chainsaw, ConsumerExpert.org and more. Through this analysis, we've determined the best Electric Chainsaw you should buy. 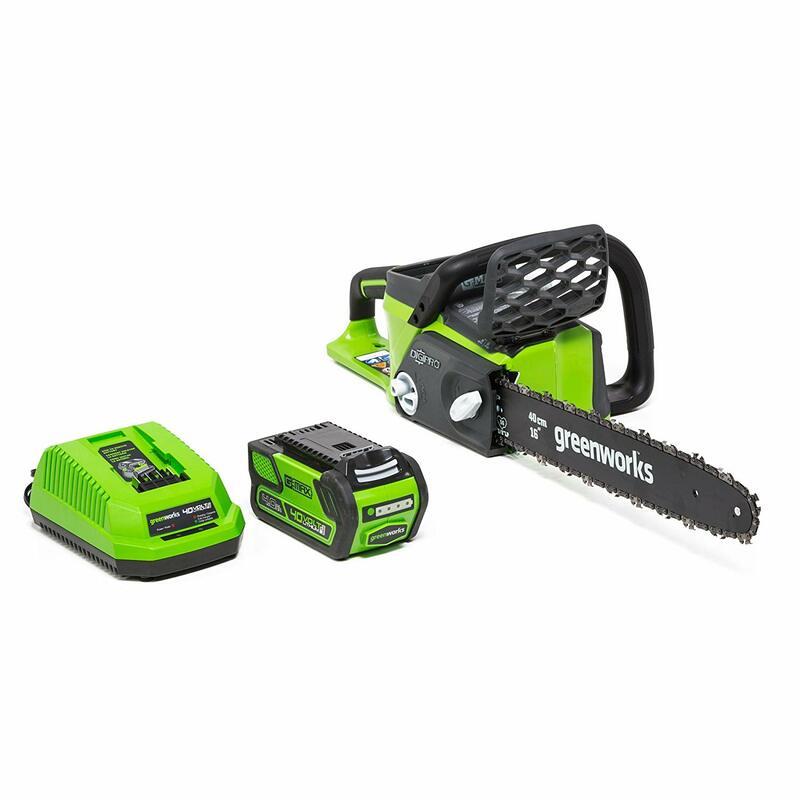 In our analysis of 130 expert reviews, the Earthwise Earthwise 16-Inch 12-Amp Corded Electric Chain Saw placed 9th when we looked at the top 9 products in the category. For the full ranking, see below. Plug-and-play chainsaw that is easy to handle. Great for those on a budget. 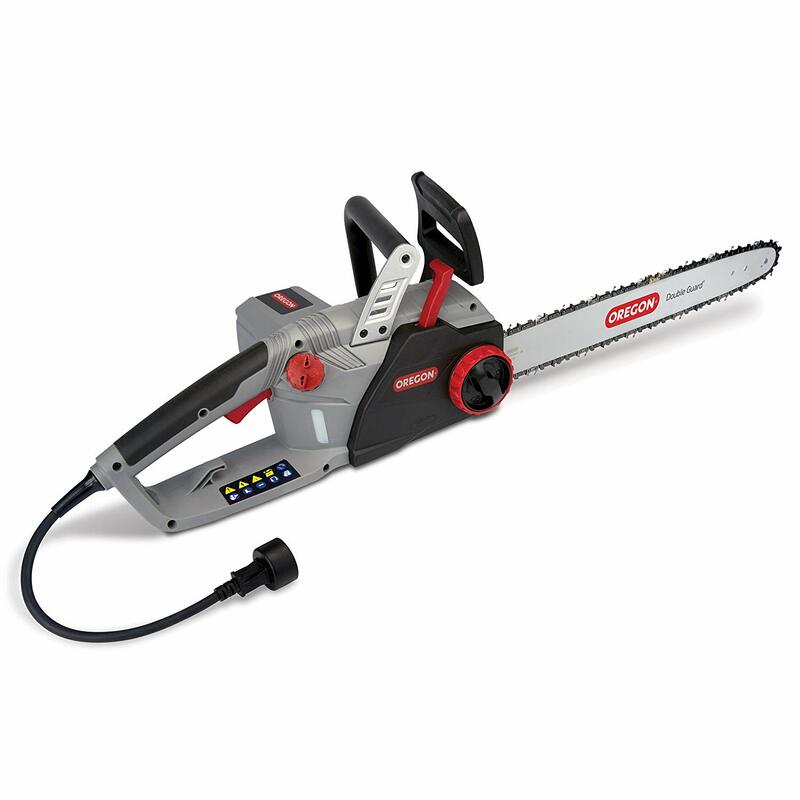 This Earthwise machine delivers on the features you expect of a chainsaw, such as an oil level gauge in addition to an automatic chain oiling system. For convenience, the saw comes equipped with a tool-less chain tensioning system so you can quickly adjust chain tension without taking apart or manually adjusting the device. With its rubber-molded handle and lightweight body, the chainsaw can be used for prolonged periods of time without causing significant muscle fatigue. This Earthwise chainsaw is an eco-friendly lawn product. It is also powerful and durable. Eco friendly, easy to start every time and easy to operate. This particular model is as simple as they can get. All you have to do upon its arrival is – read the manual, fill it with oil, and plug it in. Some assembly is required, but it’s not a big deal at all as it’s described well in the manual. Needless to say, you must read the instructions before use, even if you’re an experienced user, just to be safe and certain that everything is set up correctly. The other thing we liked is the price-to-quality ratio. Even though it’s quite an affordable unit, it does not lack quality. The oil level window makes it easy to keep an eye on the oil levels. In order to get a longer life from any chain saw, you have to make sure that it stays lubricated. With an easy-to-see oil window, I know when I need to fill it up without having to guess. The Earthwise CS30016 16-Inch 12 amp Electric Chain Saw is very light. I have had to climb up in a few trees to take down dead branches. With a heavy gas powered chain saw, these kinds of climbs can be a real pain. With the Earthwise CS30016, it’s very easy to climb and cut. This chainsaw has a tool-less chain tensioner. Easy to handle as it comes with an ergonomically-designed handle. The bar is a 91 Double Guard which is lightweight and has a small radius nose to help prevent kickback. It has a nose sprocket to reduce friction, thereby improving chain movement and the cutting performance. Very affordable chainsaw that actually works. This chainsaw comes with good quality plastic cover for the bar and chain. This new and improved bar from Oregon is perfect for small lightweight chainsaws as it has a smaller nose radius that reduces kickback energy. THe other great feature about this bar is the fact that you can flip the bar over if you are getting uneven wear from the chain very easily. 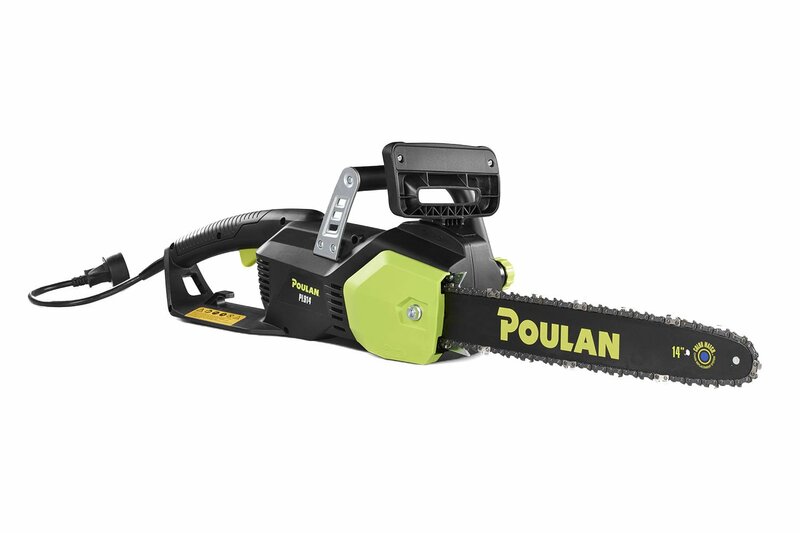 Apart from the bar this saw has a great 12 amps of power to drive it, you have a corded chainsaw that is an excellent add-on to your yard and garden array of lawn care and land management tools. Rubberized over-molded handles are easier to grip even when you have gloves on than in non-rubber models. This chainsaw is very affordable. A few owners complain of a leakage. Electric chainsaws tend to be much quieter than their gas-powered counterparts, but the Earthwise CS30016 is noisier than many electric chainsaws in its class. Doesn’t come with a saw but it is easily available in stores. You have to adjust the chain before the first use of this chain saw. Every once in a while, the cord will pull loose and I have to reattach it. A few users mentioned that they had some issues with the oiler in that it wasn’t releasing oil to the chain. Some users describe it as flimsy and not the best for big logs. This saw doesn’t come with chain oil in the package. The gravity activated oil dispenser tends to stop working. It’s not quite as powerful as some electric chainsaws. Earthwise corded electric chain saw has a powerful 12 amp motor and reliable 16-Inch Oregon bar and chain. Perfect size for clearing brush, trimming trees or stockpiling firewood. Easy care with automatic oiling system and oil level window, takes bar and chain oil (not included). Easy chain tension adjustment-requires no tools. Includes bar and chain cover and a safety start button. No Gas. No fumes. Earthwwise is The Clean Air Choice.Tackle the tough jobs with the electric powered Earthwise Corded Chainsaw. The rubber over-molded handles provide a comfortable grip to this low kickback, 16-in. chainsaw. This is a low maintance and a high performance chainsaw.